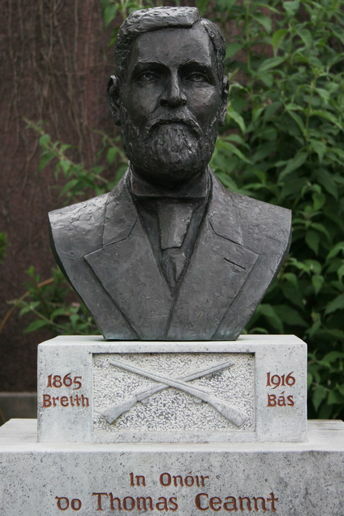 Thomas Kent (Irish: Tomás Ceannt; 1865 – 9 May 1916) was an Irish nationalist court-martialled and executed following a gunfight with the Royal Irish Constabulary (RIC) on 2 May 1916, in the immediate aftermath of the Easter Rising. The main railway station in Cork, Kent Station was named after Thomas Kent. I wanted to ask your permission to use this photo of Thomas Kent for my personal family tree. Please let me know.